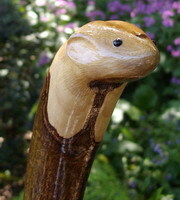 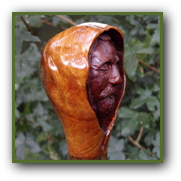 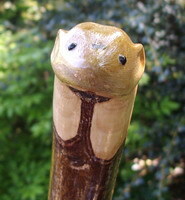 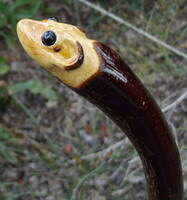 A one piece hiking stick of Hazel with a carved Stoat Head. 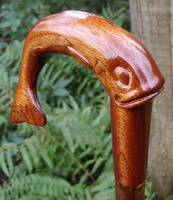 Tipped with a polished brass ferrule and supplied with a removable rubber ferrule. 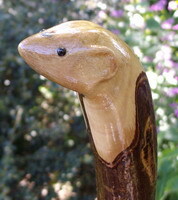 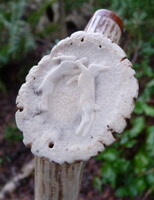 A one piece hiking stick of Blackthorn with a carved Mouse Head. 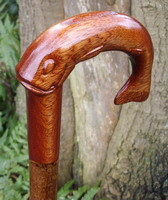 Tipped with a polished brass ferrule and supplied with a removable rubber ferrule. 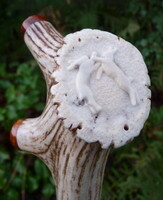 (removable rubber ferrule also supplied). 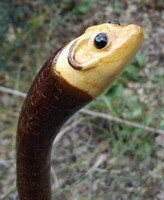 "Ultra" ferrule (1/4" solid brass tip).